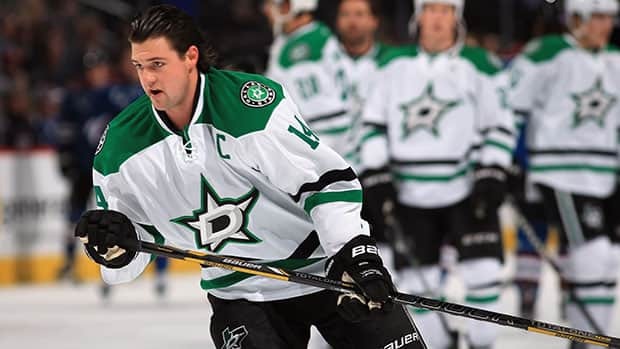 Dallas Stars forward Jamie Benn has taken an unusual path to the Canadian Olympic team, going from fifth-round afterthought to NHL standout in just a few years. Of the 25 players Steve Yzerman and his management team named to the Canadian Olympic men's roster earlier this week, only Patrick Marleau and Jamie Benn were not invited to the summer orientation camp in Calgary. But what makes Benn different than Marleau is the latter was touted as a top prospect when he was 17 years old. Marleau, now 34, was chosen second overall behind Joe Thornton in the 1997 NHL entry draft. Benn has turned out better than expected, especially when you consider the native of Victoria was a fifth-round choice of the Dallas Stars in 2007. Top-five selections (12): Sidney Crosby (1st, 2005) Rick Nash (1st, 2002), Steven Stamkos (1st, 2008), John Tavares (1st, 2009), Drew Doughty (2nd, 2008), Marleau (2nd, 1997), Jay Bouwmeester (3rd, 2002), Matt Duchene (3rd, 2009), Jonathan Toews (3rd, 2006), Roberto Luongo (4th, 1997), Alex Pietrangelo (4th, 2008), Carey Price (5th, 2005). Other first-round choices (4): Jeff Carter, Dan Hamhuis, Ryan Getzlaf, Corey Perry. Second-round picks (5): Patrice Bergeron, Duncan Keith, P.K. Subban, Marc-Edouard Vlasic, Shea Weber. Third-round selections (1): Patrick Sharp. Fifth-round picks (2): Smith, Benn. How did Benn slip to the fifth round? Well, there are a few factors. First of all, he played Tier II junior for the Victoria Grizzlies in his draft year. Vancouver Island is not a place that is easy for scouts to get to. Benn also was an extremely good baseball player. As a first baseman, outfielder and sometimes pitcher for the Victoria Capitals, he was the MVP of the 2006 provincial AAA champion midget team. Therefore, he didn't engage in any off-season hockey training. So even though Benn checked in with 42 goals in 53 regular-season games and five more in 11 playoff games in his draft year, his conditioning wasn't where it should have been. As a result, his skating was a concern. But scouting is all about projecting, and the Stars scout for Western Canada, Dennis Holland (younger brother of Detroit Red Wings general manager Ken Holland), felt there was potential in this raw two-sport athlete. Holland watched him play early in the 2006-07 campaign and periodically followed up on his progress through his sister and brother-in-law, who lived in Victoria and often attended Grizzlies games at Bear Mountain Arena. The family updates always hinted that Benn was lighting it up. When Holland returned later in the season to watch Benn, the scout saw improvement in Benn's game. So he invited then Stars chief scout Tim Bernhardt and Dallas executive Les Jackson to watch Benn play. Bernhardt and Jackson liked what they saw. The Stars projected Benn as a fourth-round pick. But when Dallas' turn in the fourth round arrived, the Stars instead selected right wing Colton Sceviour from the Portland Winter Hawks. Then they chose a local Dallas product, right wing Austin Smith, who now plays in Finland, with the 128th overall selection. Finally, Benn had his name called 129th. Benn already had committed to a hockey scholarship at the University of Alaska-Fairbanks, but he decided to join the Kelowna Rockets of the WHL for the 2007-08 season to accelerate his development. He won a world junior championship with Canada in 2009. A few months later, he helped the Rockets win the Ed Chynoweth Cup and a berth in the Memorial Cup, where the Rockets lost in the final to Taylor Hall and the Windsor Spitfires. Benn made the Stars as a 20-year-old out of the NHL club's 2009 training camp, and when the Stars didn't make the post-season (Benn has yet to play in a Stanley Cup playoff game), he helped their AHL team, the Texas Stars, advance all the way to the Calder Cup final against the Hershey Bears. Now, less than four years later, Benn is an Olympian. Quite a rise for the Victoria kid who was introduced to hockey along with his older brother Jordie, a Stars defenceman, by their mother through the local Timbits program, and was always told by his father to keep the game fun. Of the 211 players chosen in the 2007 NHL entry draft, Benn is fifth in point production despite slipping to the fifth round and having played in fewer NHL games. Patrick Kane (first overall): 492 games, 172 goals, 478 points. Sam Gagner (sixth overall): 447 games, 96 goals, 275 points. Jakub Voracek (seventh overall): 410 games, 89 goals, 259 points. David Perron (26th overall): 382 games, 101 goals, 232 points. Jamie Benn (129th overall): 305 games, 97 goals, 230 points.